Dr. Marwa El Baghdady is a Specialist Obstetricians & Gynaecologist, having over 17 years of experience in this field. She completed her MBBch from Cairo University, Cairo, Egypt in 1994. Since then she started her residency in Obstetricians & Gynaecologist and attained her Master Degree from Alexandra University Egypt in 2001. 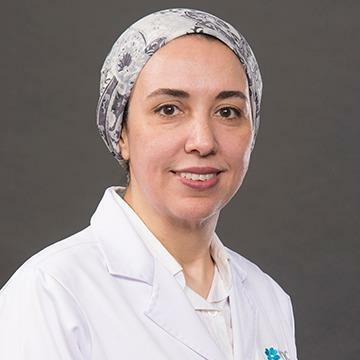 Dr. Marwa had practiced and served in high turnover, reputable hospitals (+300 beds) in Egypt and for more than 17 years in KSA. Dr. Marwa has interest in woman’s health from menarche to post menopause, including general obstetrics and gynaecology, management of pregnant women low and high risk, laparoscopic and hysteroscopic surgeries, major and minor gynaecological procedures. Also, she practiced different cosmetic gynaecological cases. She has good communication skills with her patients and can speak fluent Arabic and English.